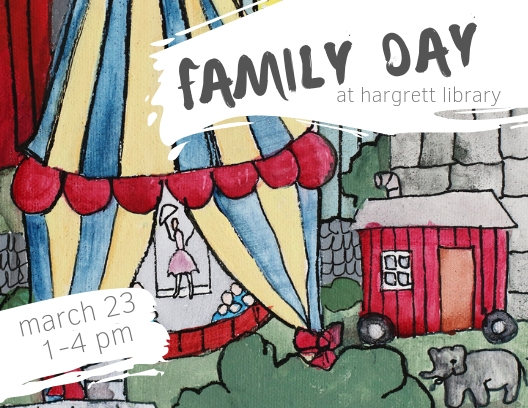 Join us for an afternoon of family fun highlighting the new exhibit “Under the Big Top: The American Circus and Traveling Tent Shows” on Saturday, March 23 from 1:00-4:00 p.m. Explore the exhibit with gallery games and activities. Get crafty and make a circus mask to take home. Watch Canopy Studio’s aerialists perform, and test out your own trapeze skills! And, see the amazing Tong Li perform magical illusions! This event is free and open to the public. Free parking for off-campus visitors is available in the Hull Street Deck. For more information contact Jan Hebbard at jhebbard@uga.edu, 706-583-0213. Parking for off-campus visitors is available in the Hull Street deck. Enter at the south entrance near Baxter Street. Library visitors can bypass the pay machine on the 3rd level and proceed directly to the front desk inside Special Collections to sign in with their vehicle tag number. Please note that UGA faculty, staff, and students cannot utilize this validation system, and should pay the hourly rate at the pay machine in order to avoid a citation.